Welcome to a lot of free stuff--enjoy !! Visit us often and take advantage of the free gifts. Record everything you eat for the next 3-7 days and send it to me and I will send you a complimentary nutritional analysis which will offer healthy suggestions for cleansing and optimal health. Not seeing the results you expected in your fitness program? Maybe you're not training for your unique body type? Learn how. Happy New Year! As my first gift of the New Year to you, I want to help you start the New Year off fast and strong by offering you one of my personal circuit training workouts. This month�s special gift to you is a copy of a template I�ve created to help get my clients get clear on their goals. I also use it personally to move me forward in my goals each month. It helps me identify the areas that are not working so that I can put a practical plan in place to help get me �unstuck�. 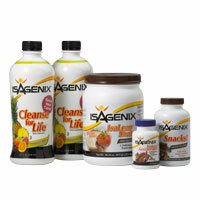 It�s important to make declarations about your health every day. As my gift to you this month, I�m offering you the Healthy by Design Attitudes of Health � for you to declare each day. Make it part of your morning quiet time or carry it around with you to help combat the �temptations� of the day. Whichever way you choose, I hope you find another useful tool in your arsenal. I also encourage you to develop your own declarations. In a perfect world the statement,�Losing weight is easy � just eat less and move more� might be true but then throw in metabolism issues, detoxification issues, emotional issues, suppressed immune systems, sleep issues, high stress levels and of course a confusing trillion dollar diet industry and we�re left scratching our heads about what our bodies �should be� able to do naturally�release weight. Click the link below to read the full report. Stuck for meal ideas. Not sure how to put together healthy, low fat meals. Use this free gift to help you take the guess work out of meal planning. Enjoy your 7 day sample meal plan. 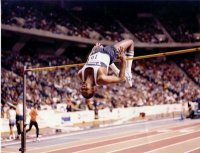 Interview with Milt Ottey, 3 time Canadian Olympian as he talks about the art of self-discipline. 30 Days of Daily Inspirations. Test Drive the Harmonic Health and Wellness Program at no charge. Click here to get started. ?